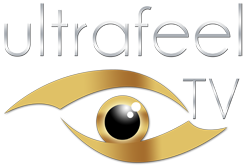 Ultrafeel.tv had the unique opportunity to interview the sparkling Bulgarian piano player, singer-entertainer and entrepreneuse Bellina Chichkova aka Bella C. in Switzerland. You were born in the former Soviet Union. Tell us about your childhood in Bulgaria. How was life as a young girl under the communist regime? Well that was a very interesting part of my life. We were leaving behind the metal curtain. Absolutely covert, blind and uninformed about the rest of the world. In early 70's (I was not yet born during that time but many friends tell me that) we were not allowed to listen to music from America, England or any other country around the world except Russia and the rest of the Soviet Union. If you had an LP from The Beatles or the Rolling Stones the police was controlling every detail about you: Where did you get this from, do you have any connections with American government, do you have any relatives in England or in Germany, are you a spy… etc.. It was a really crazy time. The only music we were listening was the music from Russia, Bulgaria and Czechoslovakia, but end of 80s the Communist regime fell down. The door to the music was open, we were overflowed with tunes, sounds, groups, voices… It was an amazing time. We had so much to catch up. Do you remember the first time when you realized that music touches you deeply, that you want to dive deeper into it? Well I was connected to music since I remember myself. Probably I deeply immersed myself into it already when I was a little child, Idon't remember exactly…but the fact is that I am very much connected to music and I feel it's a very important part of my life. How many hours did you practice playing piano daily till you reached the level you are at nowadays? At the time when I was going to school I was practicing 6 to 7 hours Piano per day. I could say that was a must. At that time I was preparing myself for concerts of Rapsodies from F. List or music from Beethoven. The responsibility was very high and my will to give my best was also big. At the concerts I wanted to impress the public with my piano playing and of course that needs a lot of work. Of course I was sad from time to time cause I knew that all of my friends were playing outside after school, having fun and enjoying the free time (like every child actually) and I was supposed to be at home and prepare myself for the next concert.. But that was just from time to time…I must say I was very dedicated to the music. Now it's much easier: I'm playing only a few hours a day probably one or two. To be honest I'm kind of addicted to the piano. When I go on holiday for a few days or weeks I don't feel comfortable – I need my piano. Anytime I go out at night I'm looking for a piano bar or a place where I can play a few songs. Then I can sleep peacefully. Well, it's not really easy to describe myself with a particular musical style. In how many languages do you sing and how many of them do you actually understand and speak? How many languages do I speak – let me count them: English, German, Russian, Bulgarian, Croatian, Greek and some Italian. Well, I don't understand all of the languages I am singing in. I do sing Korean, Turkish, Portuguese, Romanian, and many others… I have very often international public and I'm always happy when I can surprise the guests with special traditional songs from their own country. Are there also critical voices towards your music and singing? How do you deal with criticism? About criticism, well I'm absolutely open to it as long as the criticism is constructive and is going to teach me something and is going to bring me forward for a certain direction. I'm absolutely open and I don't have a problem of being criticized. I bet you get hit on a lot by men during your concerts. How do you deal with overeager admirers? Ha ha ha that's a funny question! For sure I'm not having the scenario of Whitney Houston and Kevin Costner's movie "Bodyguard". I have my fans and my admirers, I receive a lot of friendly posts, emails and letters from people who like me and my music. I think that's absolutely okay. I'm really happy and very thankful about it. If it weren't for music, how would you express yourself? What are your other passions? I'm really very much dedicated to music and I spend the bigger part of my day singing and playing piano, trying to compose and writing some lyrics and getting inspiration about new songs. My brain and my soul are totally into music. Of course the regular stuff like reading books, doing some sports, walking a lot and meditating are part of my day too. Don't forget about shopping. Like every other woman of course I also don't make an exception here. I like going shopping with my girlfriends, but mostly dresses and shoes for work. The way you look is also a very important part of the performance. It's funny but it's true – the people listen to music with their eyes. You also founded a company named 'Brabadoo'. What is it all about and what does the company name mean? The story of my Brabadoo is interesting. Some years ago I had a dream about a product which makes women more attractive, more interesting and special. A little accessory that completes the woman's look. I'm talking about the visible bra straps. This little jewelry completes the perfect woman's outfit. Brabadoo straps are made with pearls, crystals and with colorful stones. They are eye-catchers! I was really excited when I developed this project. I did kind of make brainstorming searching for the right name of my company. And finally I got it: The 'Brabadoo' is actually the combination of the words BRA and the Fred Flinstone 's "Yabba Dabba Doo"! So Brabadoo came to earth in 2012, I am so happy about it! For all the ladies who want to look perfect I will suggest to visit my site Brabadoo.com where I'm sure they will find the perfect bra strap up there – enjoy it! What do you think, why are we here on this planet, what is the meaning of life? What is the real meaning of music, what is it really all about? And about the second question: What is the real meaning of music, what is it's really all about? I would say that for me music is a language of the soul… A special vibration, a kind of invisible frequency that goes to the heart of people and give them emotions (like joy, happiness, sadness, even aggression, makes them cry make them laugh, make them happy…). Emotions are colorful just like the rainbow. And what is love for you? For me love is all – love is everything. Love is the beginning, love is the end.. love is also inside of everything we do and the way we do it. Love is the light. The more you give love the more you get..
Do you believe in life after death? What might await us on the other side? I do believe in life after death and I think the place where we go afterwords is surrounded AGAIN with love! Inside my fantasies the place where we go afterwords is the perfect place to be! A wonderful place full of joy, happiness, freedom and good vibrations. Who are your favourite artists? Which movies do you like? And what books currently lay on your bedside table? And about the books: I have a big library at home. I like to read every time I have the chance. I like biography books and the book that I always have next to my head is a small bible, a present by my grandmother. Let us know about your future plans: What are your next projects, and where do you see yourself in 5 years? Or does the future not bear any importance for you? In five years time – not easy to say. I stopped doing any plans for the future. When I was a teenager I was doing plans for 10 years in advance. To be honest that was really a waste of time, cecause when I turn back my head I see that none of those things I wanted to achieve when I was 15 came true when I was 25… I decided to walk my way step-by-step, just putting one foot in front of the other and see where the road leads me to. For me life is a miracle, nothing it's predictable. Its just like driving in the fog – you are sitting in your car, the lights are showing you just a few meters in front of you. When you pass those few meters you will see the next ones. It's all about moving forwards. I like to say always this sentence: You never know which one is going to come faster: Tomorrow or the next life! So do your drives and keep your car in motion! If you could travel back in time; to which age would you return and would you change anything in life? Have you got any regrets? No absolutely not, there is nothing I would change if I had the chance. Life it's a trip, life is an experience. From every mistake you are learning something new and every time you fall down you get stronger.. You know there was a story about a woman. She was praying to god and she was asking god to make her stronger. And do you know what god gave her? Difficulties…. So that's the reality; if you want to get better you have to do the hard (heart) way. You can find more information about me on my homepage Bella-c.net, on my facebook fan-page Bella C as well as on my private facebook page: Bellina Chichkova. 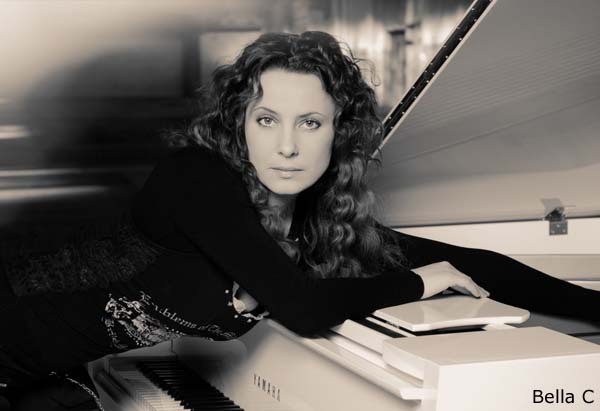 – Re-publishing only with expressed written permission by ultrafeel.tv and a direct link to this post with the keywords "Bella C, Singer, Piano Player, Entrepreneur, Life, Death, Love, Art".